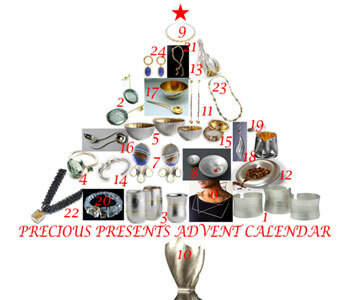 Specially selected for our Advent Calendar Christmas Showcase – 24 Capsule Collections of Precious Presents crafted by 24 of the finest UK based jewellers and silversmiths. 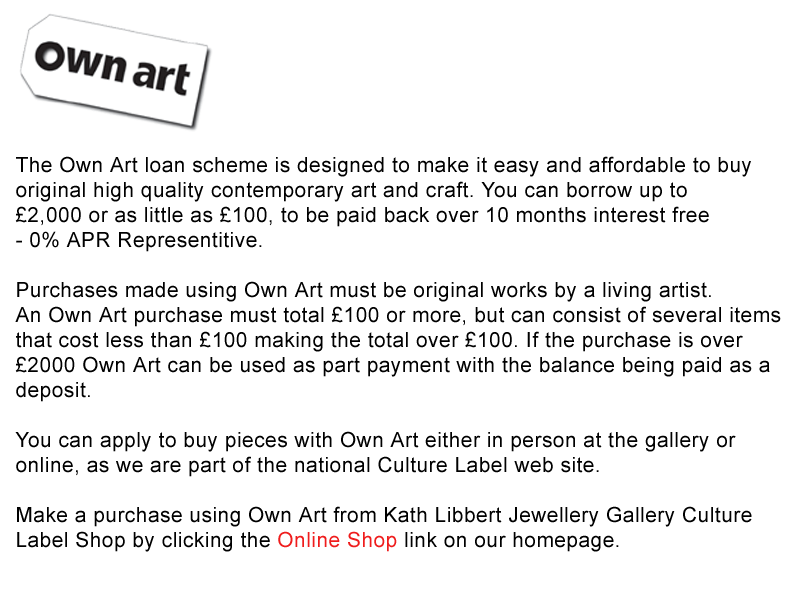 So if you are looking for that very special Christmas gift, look no further! The show launches at the gallery on Sunday 1st December with mince pies and mulled wine served from 2 – 4pm. 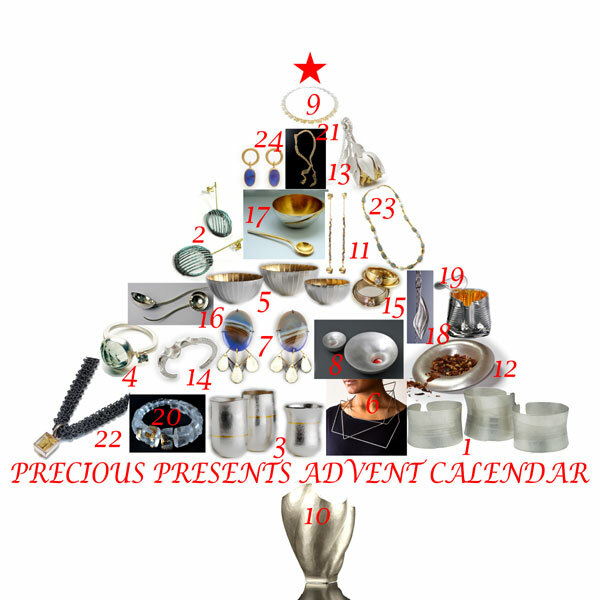 Your chance to be the first to see the full selection of Precious Presents before they get snapped up! All very welcome. Each day running up to Christmas Day our Advent Calendar on the gallery FaceBook will feature one precious Christmas gift by each of the 24 makers with a profile of that maker. So for instance we are delighted to be showing for the first time a collection of wonderfully poetic pieces by the jewellery artist Zoe Arnold who is Ms December 7th. Mr December 5th is Adrian Hope the renowned silversmith who we are so pleased to be welcoming back with a select collection of his supremely elegant silver vessels. But if you just can't wait you can open the Advent Calendar right here, right now. . .
(21)Nina Bukvic; (22)Alison Evans; (23)Poppy Dandiya; (24)Josef Koppmann.